Keeping your old, faulty wood windows is bad, but replacing them in kind is even worse. Wood may have been the most used window material in history, but its popularity is heading south for a reason. Recent technological advancements have brought new, better materials on the market, allowing you to enjoy wood’s desirable qualities without settling with its inherent downsides. Vinyl has revolutionized the industry since the ‘50s and has undergone dramatic improvements over the decades since. Thanks to the latest innovations, modern vinyl units have been proven to outlast the most durable wood windows. Contrary to popular belief, premium vinyl is strong enough to withstand environmental detriments, staying intact despite the Wolverine State’s frigid winters and muggy summers. Upgrading to high-quality vinyl makes your custom glass units impervious to rot, mold, and mildew as well as cracking and warping. In contrast, spending your money on a wood window replacement wouldn’t reduce the likelihood of those cosmetic and structural problems over the long haul. 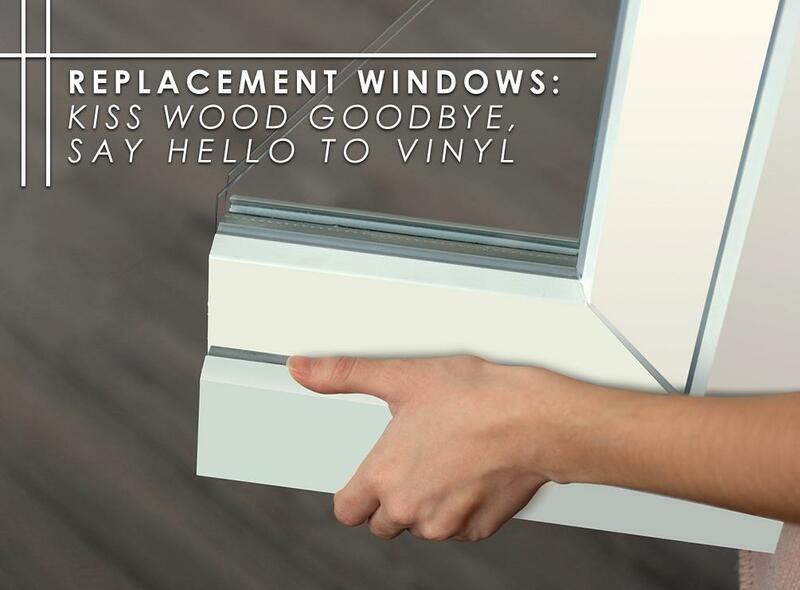 Switching from wood to vinyl isn’t just a chance to make your window framing better. It’s also an opportunity to harness the exceptional energy efficiency of 21st-century window features. This is why we carry Alside, because of their high level of energy performance. Alside’s advanced window glass solutions ensure noticeable utility bill reductions and savings month after month. Moreover, its wide range of window designs puts a premium on energy efficiency. With Alside, expect your windows to block the sun’s unwelcome rays, insulate your desired indoor heat, and promote adequate daylighting. A wood window replacement could restore structural integrity, but it doesn’t bid farewell to the need for periodic repainting. Apart from being a thankless task, scraping and repainting your units actually costs you a lot of money over the long term. It’s a different story when you invest in high-quality vinyl windows. Premium vinyl products stand up the heat well, resisting discoloration and other forms of damage. You could keep them in mint condition with carefree cleaning. As a certified contractor for Alside in Michigan, we ensure a flawless window replacement in Detroit, MI, and beyond. To talk about your project with no strings attached, call us today at (888) 338-6340 for your FREE, in-home consultation and estimate.